JBA Trust is fully funding places on Lancaster University’s Flood and Coastal Risk Management Postgraduate Certificate course in 2015/16. The Postgraduate Certificate (PGCert) in Flood and Coastal Risk Management will equip delegates with theory, practical skills and experience of industry best practice for modelling, understanding and managing risk. On the 5th June Atkins, London Borough of Lewisham, Planning for Water and the River Restoration Centre held a workshop which aimed to discuss how to integrate river corridor improvement measures into the planning system within all London Boroughs. There were a series of presentations that concentrated on policy implementation, valuing the environment, scientific evidence for river restoration and partnership working. A site visit to Ladywell Fields on the River Ravensbourne complemented the days talks. Yet more fisheries are set to benefit as the Angling Trust has announced that an additional £50,000 is up for grabs later this summer as part of the hugely successful 'Fishery Improvement Fund'. The funding comes from the Environment Agency's rod licence sales. 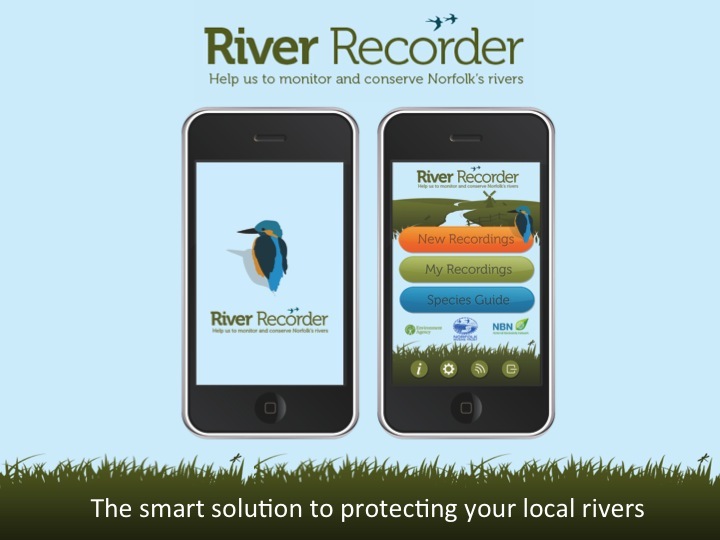 The Norfolk Rivers Trust has developed a smartphone app through which volunteers can report a variety of river issues, such as littering, invasive species or pollution events. They are now at the testing stage need a handful of volunteers to help them out by trialling it and reporting back with how you get on. Restoration of river habitats by restoring physical habitats offers significant opportunities for improvements to biodiversity. To date in the UK and Republic of Ireland (RoI) there have been many different examples and types of restoration work undertaken. Despite this progress there remain issues relating to the quality of the evidence base for restoration, its implementation and its promotion as a viable strategy to improve river biodiversity, ecosystem status and maintain the key services that we rely on. This grant scheme forms part of the new Countryside Stewardship scheme. It builds upon the capital grant scheme within the Catchment Sensitive Farming project. Farmers and other land managers can apply for a grant to help pay for work to reduce diffuse water pollution from agriculture (DWPA). 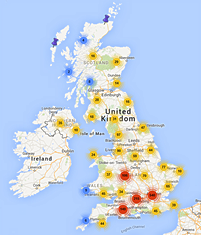 Applications can be submitted from 2 March 2015 and must be received by Natural England on or before 30 April 2015. Late applications will not be accepted. The maximum available grant for each farm business is £10,000. Volunteers who have worked on excellent SuDS projects are needed to test a new Excel tool that will demonstrate the multiple benefits of SuDS. If you have a scheme and would be interested in volunteering your time, please express your interest by completing this questionnaire which will be used to shortlist a range of practitioners and schemes. Please complete the survey by 28th January for it to be considered. The abstract submission deadline for the Fish Passage Conference 2015 is closing in just over 3 weeks! If you would like to present your findings relating to fish passage and connectivity, submissions are being taken up untill February 2nd. The conference will be held between the 22nd & 24th of June, in the city of Groningen, The Netherlands. SEPA's River Basin Management Plan Consultations are now open. There are two plans that are open for consultation, these are the Scotland River basin district and the Solway Tweed River basin district. Your input to these consultations and contribution to the delivery of the second river basin plans is essential if they are to meet the challenges facing the Scottish water environment in the future.